On 11th June 2017, I had written a post titled "RIP? : A film like no other before". The general theme of the post was about my review of the film. As I have always had a raw style of writing, I applied it in this post as well. At the point of writing the post, it never came across to me that my writing could cause grievance and inconvenience to another party. I naively wrote with the intention of expressing my views. However it came to my attention a week later that my post has indeed hurt the film team. Two weeks ago, this whole turned up to be a bigger controversy as I received an official notice regarding my write up and we had to engage assistance from 3rd party to bring an end to this issue. After a series of letters were exchanged, both parties (the film team & I) were able to come to mutual conclusion to put an end to this controversy for good. Therefore as part of the agreement, I will delete the initial post of the film effective immediately and hand over a written apology letter to the film director. 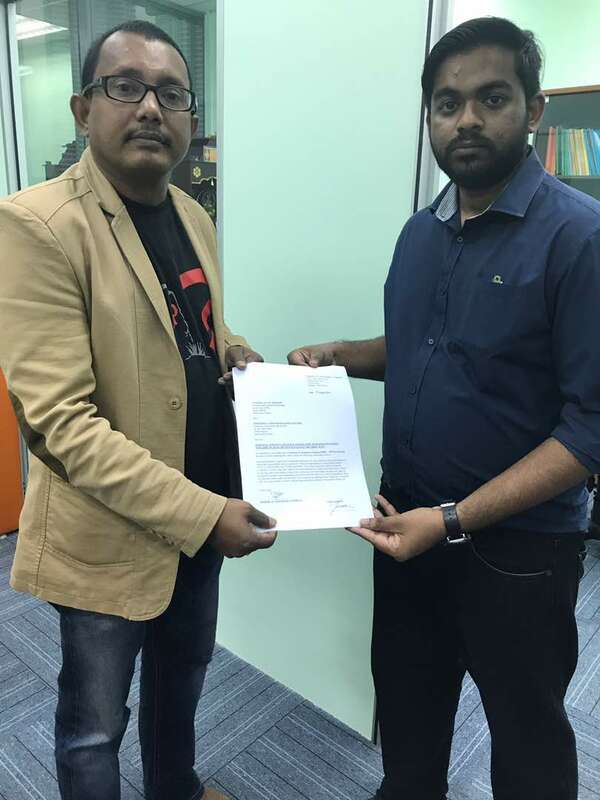 The handing over of the letter happened successfully today and below is an attached photo of it. Two of my biggest passion are indeed cinema and writing. That was the reason why I started doing film reviews on my blog. As I do not make any money through my blog, all of the previous article was written purely based on passion and love I have on this two art. Therefore to avoid a repeat of the similar controversy, I would like to used this space here to announce that, moving forward I will no longer write reviews on Malaysian Local Films. Meanwhile on Indian Tamil Films, I would temporary stay away from writing reviews as the last two weeks has cause me a lot of emotional distress and I have lost the will to write reviews for now. Nevertheless I will still continue to write other materials on my blog and hoping to see you guys soon with a new article. I would like to state again that I had no bad or ill intention when I wrote the film article and therefore have taken it down. I would also like to thank all parties who worked together in bring this to an end and we can all now move forward.